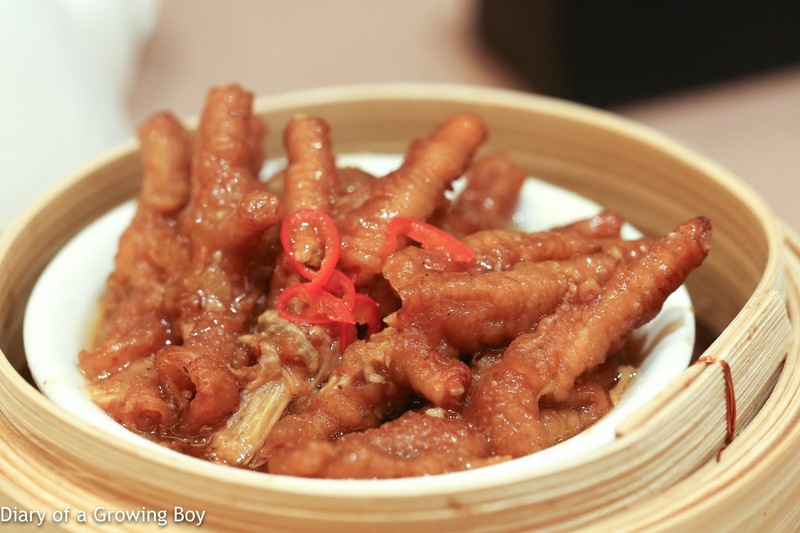 Deep-fried chicken kidney mixed with egg custard (雞子戈渣) - always love this dish, both for the texture as well as the rich flavors. I think our visitors were pleasantly surprised by this, and enjoyed these little wobbly chunks very much. Barbecued whole suckling pig (大紅片皮乳豬全體) - this was the main event today. 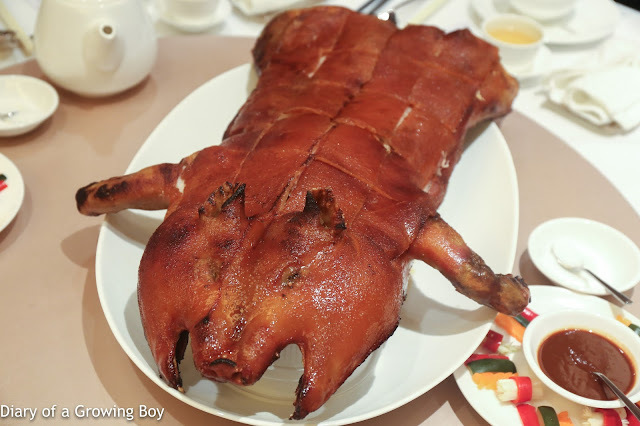 A whole suckling pig, just for the 6 of us. We had originally considered trying to split one with another table, but decided to go it alone at the end. I love the legs of these babies, but today I encouraged the others at the table to nibble on them. 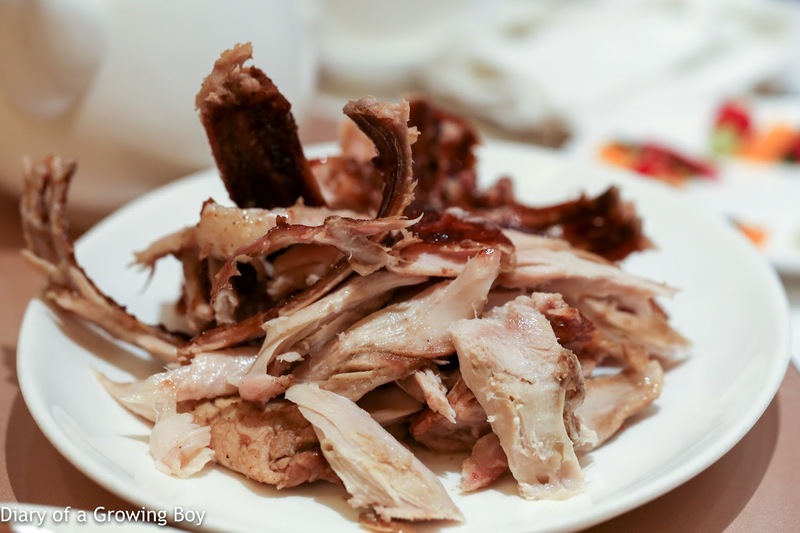 Instead, I nibbled on those "baby back" ribs and other pieces of meat - which had been hand-shredded by our waitress. 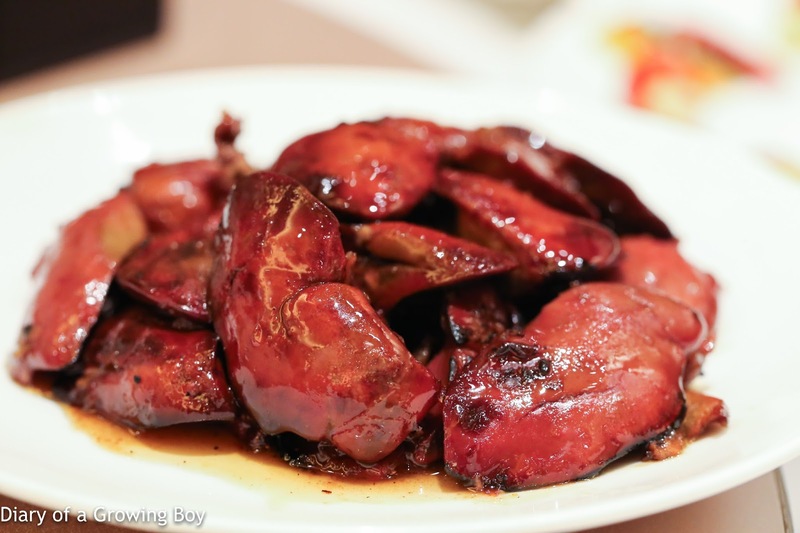 Honey glazed barbecued chicken liver (蜜汁燒鳳肝) - the Great One always seems to want this dish whenever she comes... and they are delicious. 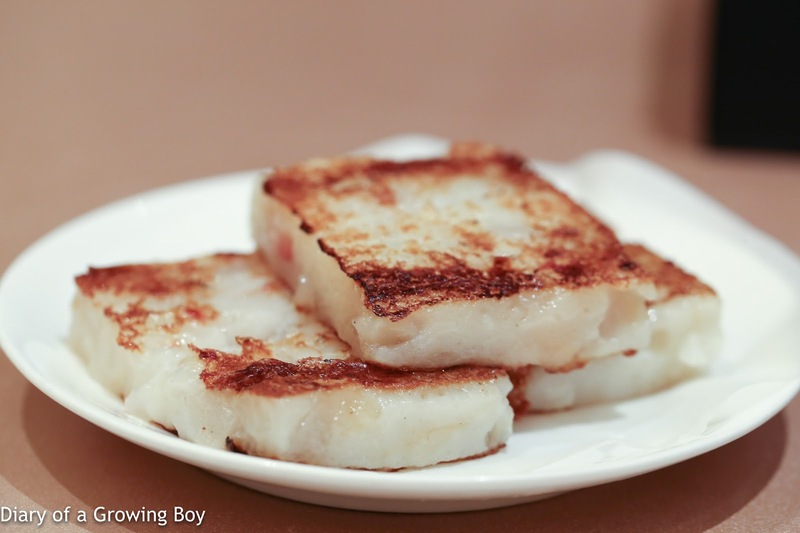 Pan-fried radish pudding (香煎蘿蔔糕) - tasty, but these were a little too wet so that they fell apart easily when picked up by chopsticks. 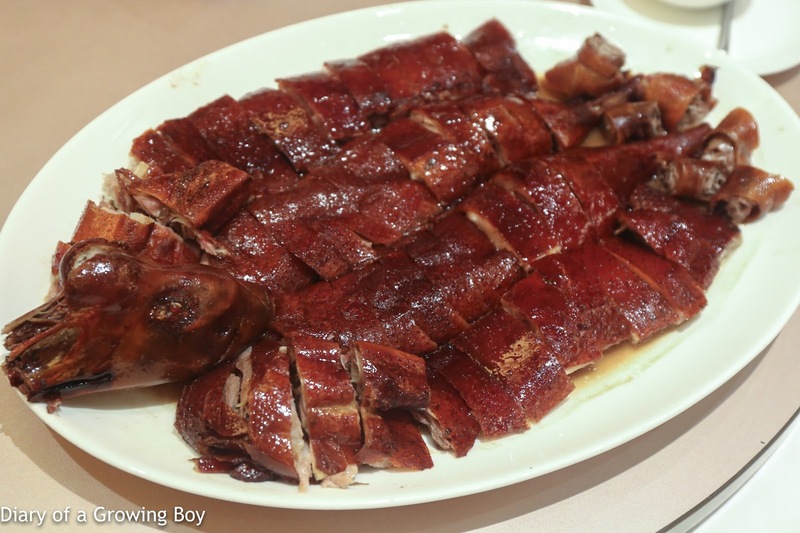 Roasted crispy goose (脆皮燒鵝) - I couldn't believe it when I was told that we had pre-ordered a whole goose... when we already had a whole suckling pig coming. Well... we soldiered on and did what we could with this. 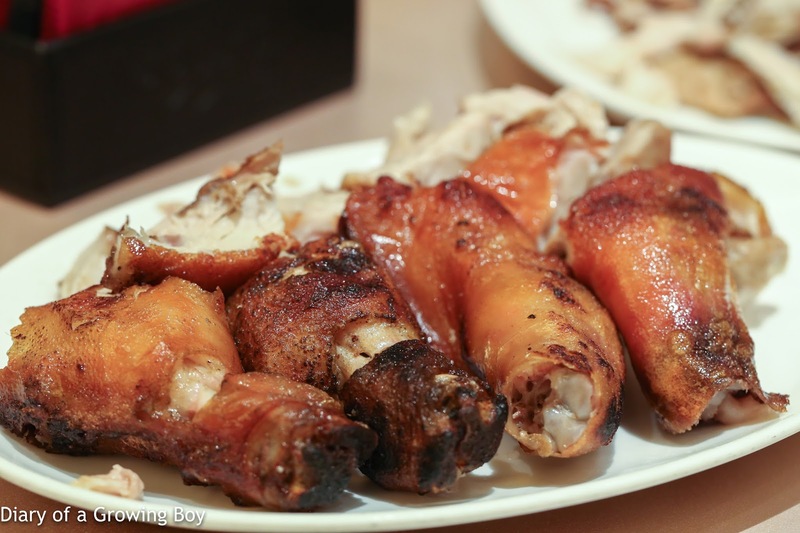 It was pretty good, but far fell short of my favorite goose from Yat Lok (一樂燒鵝) in terms of flavor.